The good news is that me and Victor signed a lease for a new place already! The bad news is that we have to move soon. 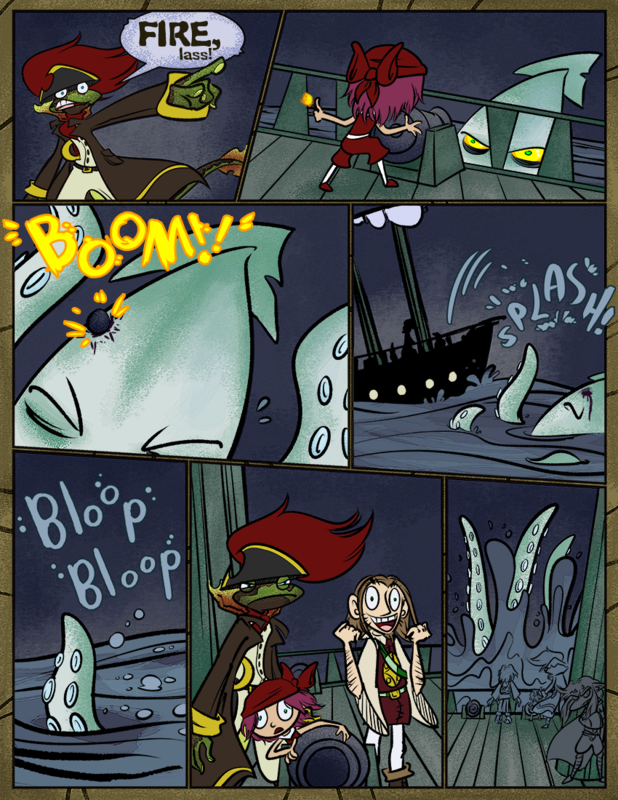 Pssh, lame; Skarva was cowering behind the mast the whole battle! You know, Skarva looks like Magus in that pose. Ooh, Chrono Cross. I tried playing it, but got too confused. There’s so many characters and no explanation on how to keep the ones you’ve got! I tried using HTML to flourish “Not to mention it’s the One True Sequel,” but they got filtered out. So here I am explaining the joke: I’m not serious. Well, mostly not. I hate this comic y do i read it… 0scar4444 Your the best. i <3 you. I don’t think 0scar of the four fours meant any harm, he was just being blunt. I’d rather hear what people are honestly thinking, anyway, even if we can’t live up to their expectations with our greatest efforts. Because maybe sometimes we COULD be trying harder or doing something better. yea kinda lame not gonna lie. not muched happen just like shots of all the characters, which is good for screen savers but idk. Yeah, it’s a story comic and not every page can have a punch line, although we try our hardest! We already agonized over something funny that could happen in this one and that’s why it was late, though it never worked out anyway. Sometimes we just have to put in a little action stuffing in there. But we hope you’ll enjoy the pages coming up soon! Making you guys smile is our highest priority. Do what you feel fits the story! You guys are the storytellers here after all. Thanks! We definitely are telling the story we want to tell… of course, we do appreciate you guys’ feedback! That is one heck of a scowl there, Goldgills. New starts are sometimes a good thing. Yeah. I’m looking forward to being refreshed mentally. I’ve felt so stagnant lately. But… I do so hate moving!